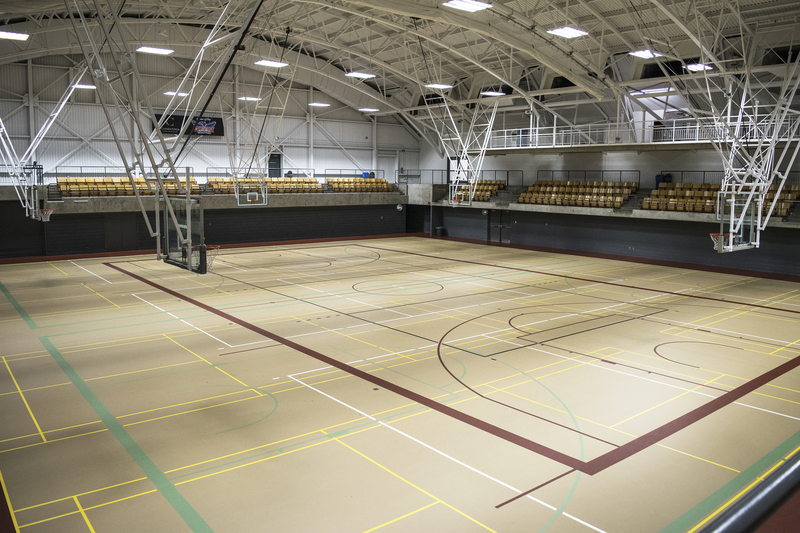 A high-performance triple gymnasium with maple hardwood sprung flooring and stadium seating (720 seats). This is a rentable space. Please contact reccentre@conestogac.on.ca for more information. A multi-use double gymnasium with a poured pulastic compound (rubber) floor and Ariel seating (400 seats). This is not a rentable space. 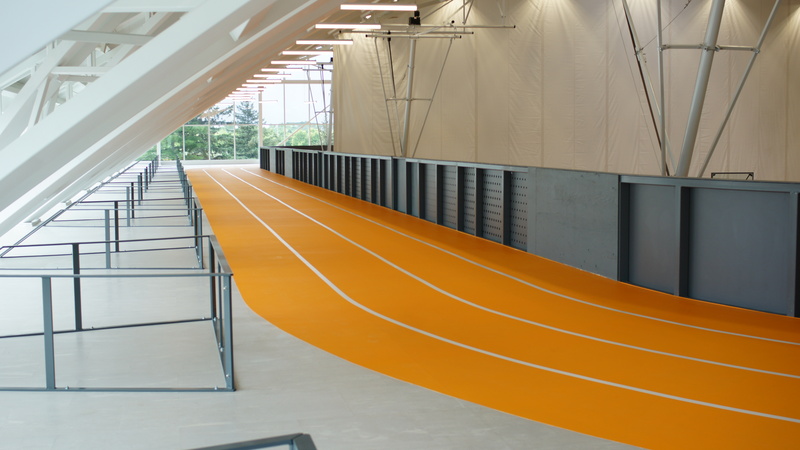 A 4-lane, 170 metre (inside lane) poured rubber running track. Please note, running cleats are not permitted on this track. A multi-purpose space that can be separated into 3 rooms via retractable walls. Ideal for fitness classes, recreation programming, or meetings. 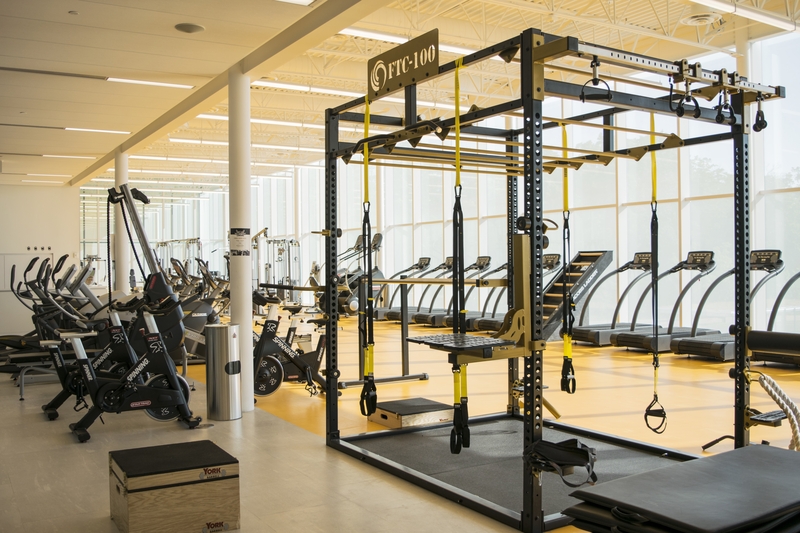 This space is home to the Conestoga Students Incorporated (CSI) Health Plan, which includes Massage and Chiropractic Therapy services. 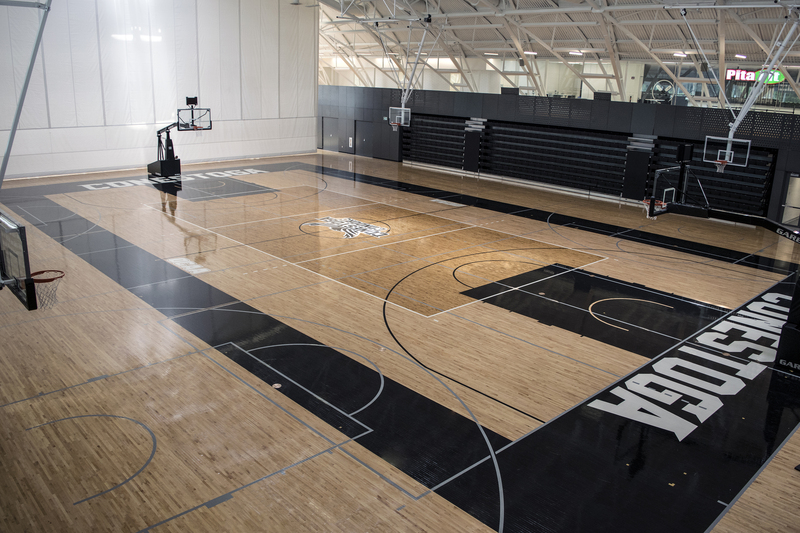 Conestoga College offers Athletic Therapy services to all Varsity Athletes. You must be on the roster of a varsity team to access this service. An Athletic Therapist is available to varsity athletes during all practices, home and away games for preventative measures and acute care. Conestoga has two softball diamonds ideal for practice and exhibition game use.